Who's a provocative anti-cruelty demonstrator? You are! Yes, you are! 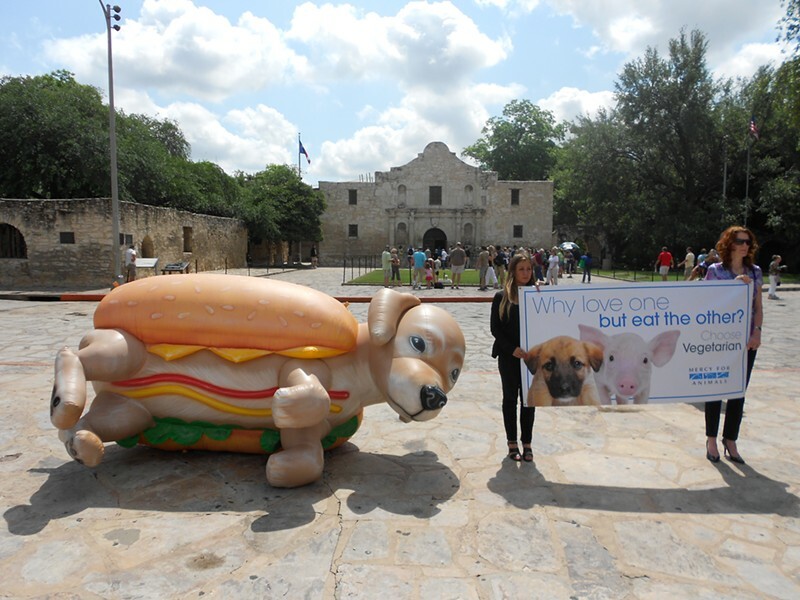 Mercy for Animals is bringing this cuddly weenie to F and Second streets on Monday at 11 a.m. It's part of the group's "Why Love One but Eat the Other" campaign. Look, here he is at the Alamo! He comes with organizers, vegetarian literature and apparently mustard, mayo, cheese and lettuce.